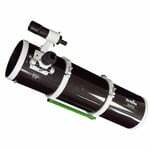 The only coma corrector for Newtonian telescopes which does not increase the focal length or reduce the field of view of the telescope. 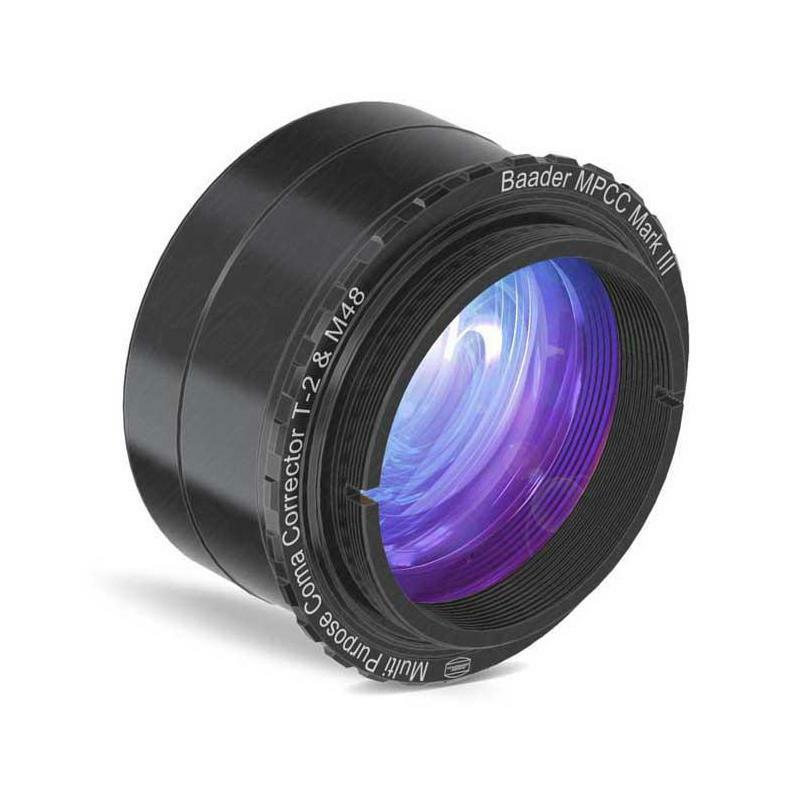 Large aspherical mirrors are ideal for deep sky photography as they provide the widest possible field of view combined with high image brightness. However, these parabolic mirrors exhibit coma (as well as, to a lesser degree, astigmatism). Coma means star images at the edge of the field of view are distorted, significantly reducing the usable field of view. 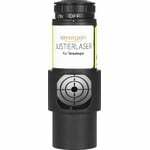 Various manufacturers offer coma correctors to compensate for these distortions. These units are lens elements placed near the focal point of the telescope which reduce the effects of coma. However, the problem with this approach is that the focal length of the telescope is thereby increased. 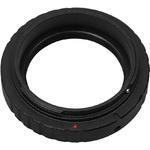 The Multipurpose Coma Corrector MARK III (MPCC III) virtually eliminates coma, and without altering the focal length. This unique lens arrangement is 'Phantom Group' multi-coated on all glass/air boundaries, providing the highest light transmission over a very wide spectral range, from UV to NIR. Stars remain points over the entire field of view. The MPCC can also be used for visual observing. 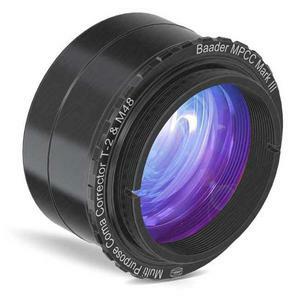 The MPCC III is the coma corrector with the most applications for visual and photographic use. 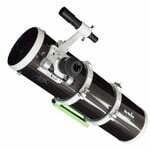 It fits onto virtually all 2" eyepieces and off-axis guiders. 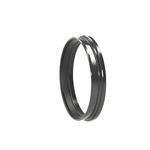 The 2" stop ring can be unscrewed for deeper insertion into the focuser and to win more back focus.